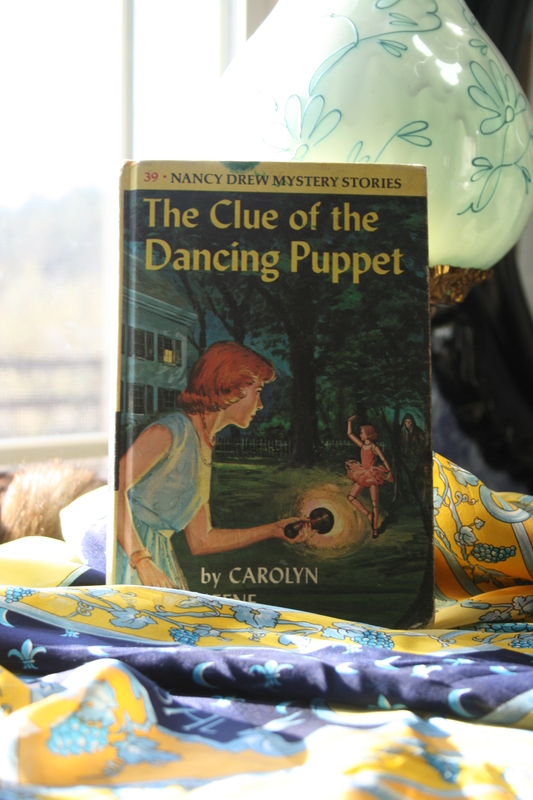 Nancy Drew was the heroine of many childhoods, mine included. 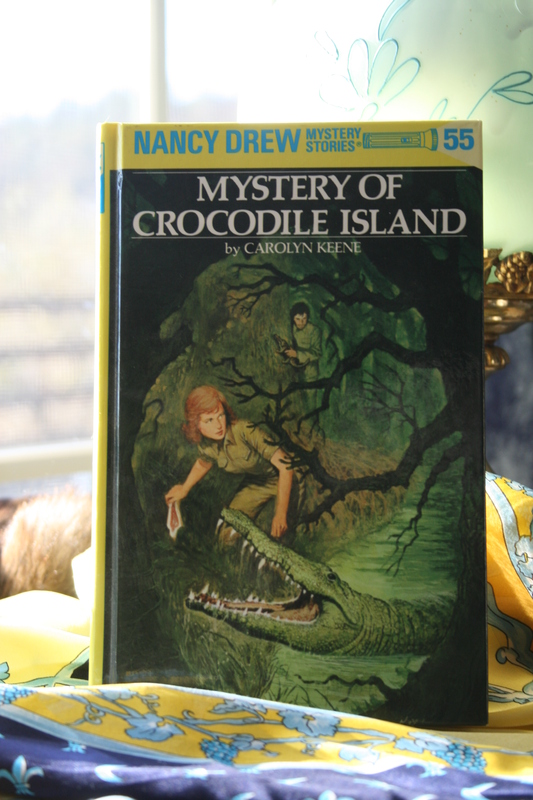 As a book fiend at a young age, whenever my family would go on a road trip, I would have to find the used bookstore wherever we stopped and buy a Nancy Drew book to keep myself occupied in the car. In so doing, I managed to collect over 30 of the 64 original books by the time I was twelve! They still fill one whole bookshelf and I think parting with them would be akin to parting with a limb. Though most of my beloved copies feature the most recent of Nancy’s cover designs, first printed in the mid-1980s, the famous girl detective has gone through numerous redesigns in her 84 year history. Starting with a simple blue and orange silhouette and ending up with the modern, illustrated “flashlight editions,” Nancy Drew has always managed to maintain her mid-century charm and universal girl power. Below the cut, a few examples from my personal collection of Nancy’s front cover designs, encompassing the early days of the 1930s to the present. Though not the very first editions, this blue and orange silhouette design is iconic of the 1930s and 1940s. Interestingly, this dark blue and orange silhouette design was only printed in early 1946, though I think it’s really striking. The grey-blue tweed design with a dark silhouette and mid-century graphics on the spine is one of my favorites. Doesn’t it look like just the right size for train travel? Nancy finally went yellow in the ’60s and never looked back. In this early design, the full-color cover illustration is printed on the boards. 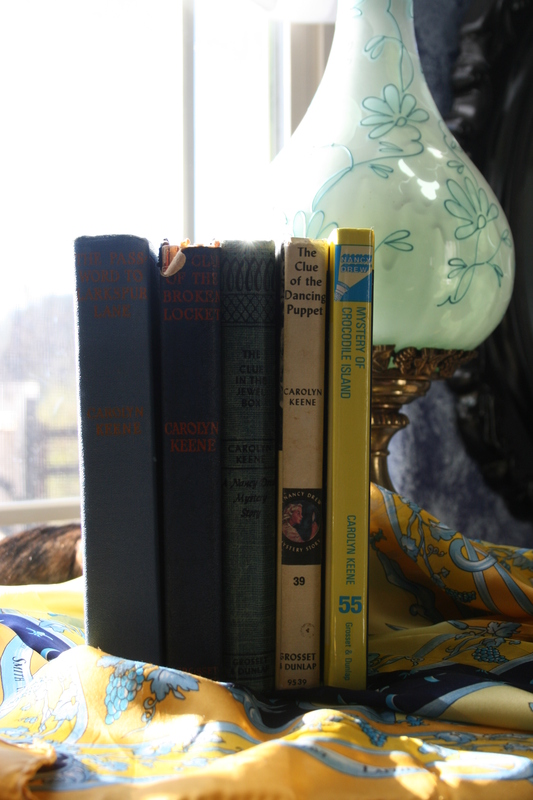 Finally, in 1986, the glossy yellow hardcovers still sold in stores today were introduced. Do you think Nancy has another redesign in her future or will generations to come enjoy these classic stories in the now almost 30-year-old glossy tradition? 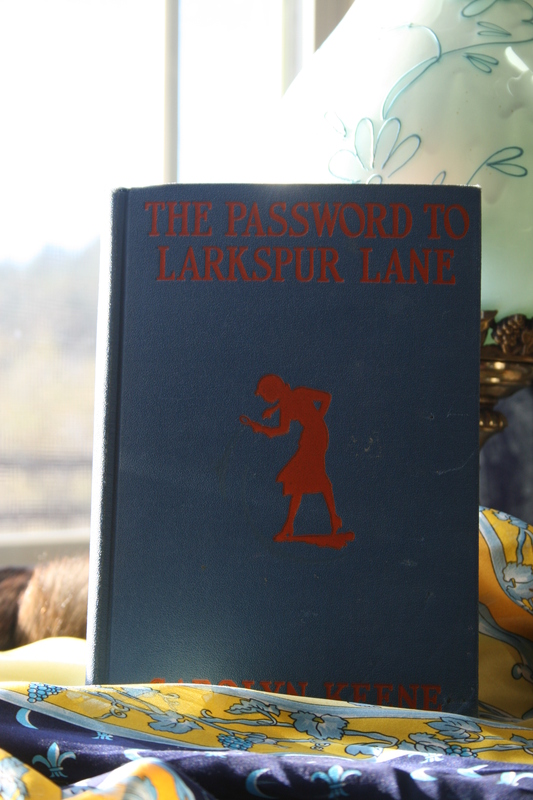 This post is a part of Time Travel Thursday at The Brambleberry Cottage. I love Nancy Drew! This totally bring me back to 5th grade when I’d read almost on every night! I don’t have any of the old editions because I just mostly got them from the library, but I just got a mini, (about 1×1.5 in.) edition made for American Girl dolls that is the cutest thing ever! 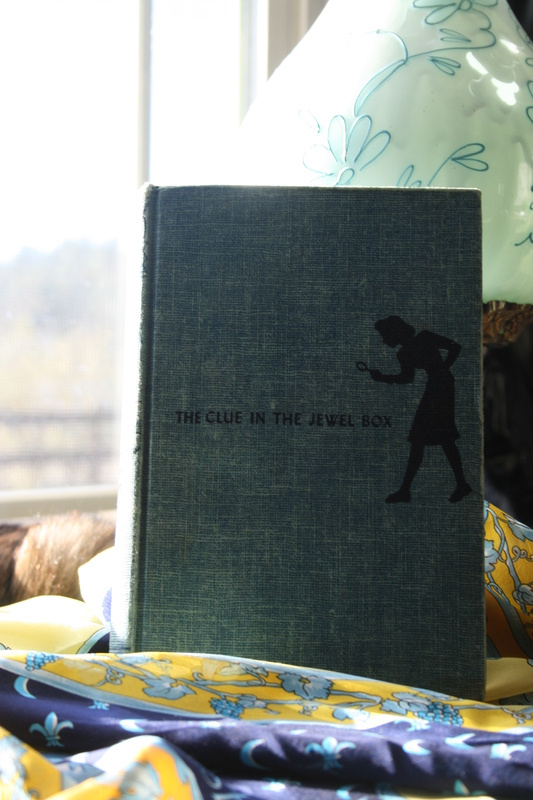 I love old school Nancy Drew!